Looking ahead to 2017, the Pediatric Congenital Heart Association has spent the last several months developing strategic policy goals that address the needs of the congenital heart disease community, including research, data collection and public health policy. In the next weeks, along with finalizing these goals, we will be meeting with organizational partners, our legislative champions and advocates, like you, to establish next steps to address these key policy issues in the coming year. 1) Begin to build relationships: Identify who represents you and learn about them. Listen to what is important to them. 2) Open the lines of communication – Collect your lawmakers’ email addresses, phone number and contact information for the district office near you. For newly elected officials, this may not be available until January; however, many have social media contacts via FB and twitter. 3) Share your story. Introduce them to your world of chronic illness. Let them know that health issues matter to you. Completing these steps will lay the ground work for effective advocacy in the months ahead. 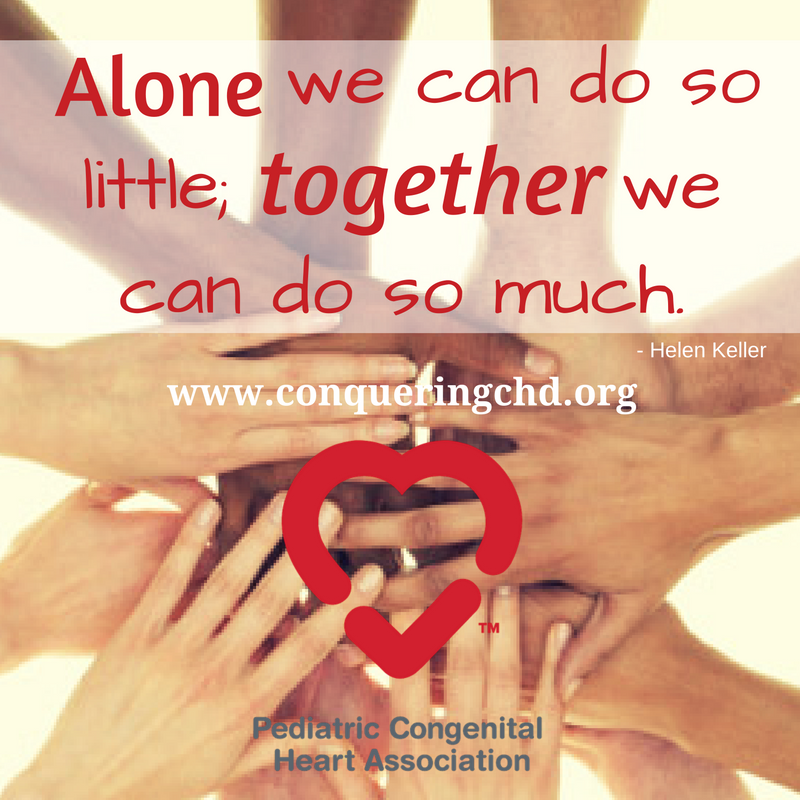 As always, we are inspired by the strength of the millions of people impacted by congenital heart disease. 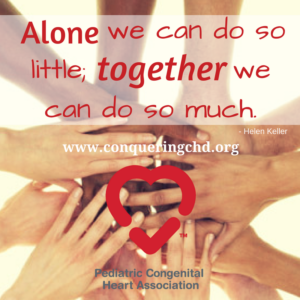 By coming together, we are conquering CHD! We’re dedicated to helping people with congenital heart defect in their lives. With this partnership, we’ll be able to help even more people. We encourage you to submit a story to The Mighty and make your voice heard!